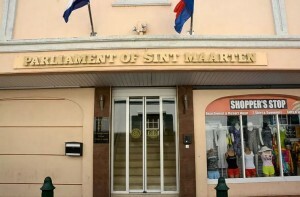 PHILIPSBURG - Members of Parliament (MPs) on Thursday passed three motions, one of which was a motion of no confidence against six of the seven ministers in the Marlin Cabinet, ending attempts by Prime Minister William Marlin to form a national government and dismissing calls from -former- coalition MPs to pursue this route. The motion of no confidence was passed by the recently formed new UP/DP/Brownbill majority of eight against Ministers Marlin, Silveira Jacobs, Christophe Emmanuel, Richard Gibson (all NA), Melissa Arrindell-Doncher and Rafael Boasman (both US party). Democratic Party (DP) appointed Minister Emil Lee was not included in no-confidence motion. Lee has since made his position available to help pave the way for the formation of the new government. The six MPs of the now minority parties in Parliament voted against the motion of no confidence, but were not present for the voting of the two other motions. MP Ardwell Irion was absent with notice. Expectations are that the Council of Ministers will now move to dissolve Parliament and call early elections. The two other motions passed with eight against zero votes are to adapt the Integrity Chamber Ordinance to make it comply with the protocol signed for such and accepting border control by Dutch military police and customs, both conditions set by the Kingdom Government fort post-hurricane recovery funds.